Jul 1, 2010 - N.A. 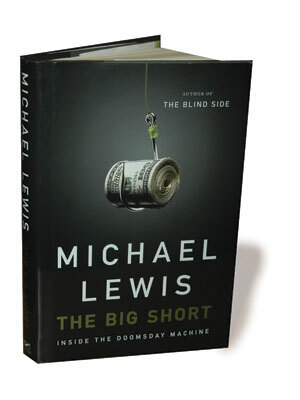 Michael Lewis with a great publishing record was also a stock market bonus beneficiary who believed (the only one!) that he did not deserve the bonus. This book explains the sorry state of all our major investment banks that have transformed the banking and investment industry into paper casinos. Don’t be fooled or intimidated by fancy terms like derivatives, credit swaps, etc. They are not investing in job creation or innovation, they are just gambling, betting on the ups and downs, with no money going to real business. These stock market geniuses turned our total national debt of $6 trillion into a $600 trillion gambling business, with themselves as the only winners. And when they lose, we bail them out. WOW! This book does an excellent job of explaining the mess that is New York, New York! Jobs Lose Winners? There are no winners. Don’t be celebrating yet, even if you bought a short sale bargain, if this goes on for two more years, your new home will be underwater again! Believe it! The formula has no where to go but to zero! We are turning America into a Banana Republic with no credit, no new jobs – oh, but we have temporary census jobs, I forgot… And the banks? They seem more incompetent than the Government. See our story on page 40, on modifications. Banks take a year or more, ask for paperwork 3 to 6 times (or more) and most of the short sales I hear take 4 to 6 months to close. What are they thinking? This was one of the most business efficient countries in the world. We are turning into a Third World country. Why? And here is how we get out of this mess: New and automatic 2% mortgage modifications for ALL homeowners for 3, 5, 7 year terms, picked by rotation, so we don’t all renew the same year. New buyers at 4%. If you have a better idea, let me know. We need a win/win solution, not an all-lose solution. Q: “Have you heard about McDonald’s’ new Obama value meal? A: Order anything you like and the guy behind you has to pay for it. Q: “If Nancy Pelosi and Obama were on a boat in the middle of the ocean and it started to sink, who would be saved? A: America! Well here we are in our “worst” month of the year. Some days, we don’t see the sun even at midday. Here is why: San Diego’s May Gray and June Gloom are caused by a local weather phenomenon called the “Catalina eddy.” The Catalina eddy can develop at any time of the year but is most common in May and June. The upper-level air flow is directed onshore by the Channel Islands offshore (hence, the name “Catalina” eddy). When the flow is blocked by the mountains of the Los Angeles Basin a counterclockwise eddy, or vortex, is created. As temperatures drop after sunset, the marine layer deepens. Fortunately, the Catalina eddy often is dissipated as the heat from the deserts causes the air to rise and the vortex is disturbed. That is why you will often hear the forecast, “late night and early morning low clouds and fog, followed by afternoon sunshine and sea breezes.” Unfortunately, too often the coast doesn’t see the afternoon sunshine at all. But don’t complain too much – see the news —tornados, floods, and more, in many other states and parts of the world. So with our grey days with some sunny days — we still have paradise! The Villager’s website is newly expanded online. In addition to the digital edition, The Villager has updated its online presence with a more robust online site. Read specially created online updates, view archives, interact with online communities and see more images. 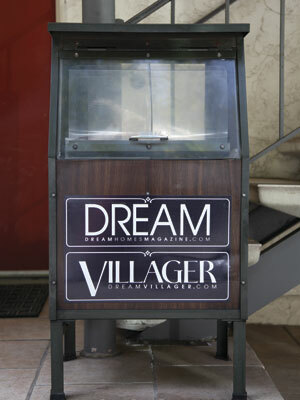 Also, starting with this issue, The Villager is adding Coronado to its coverage area. Coverage of the city in this issue includes a targeted real-estate roundup page for the city and a brief about the state of its beaches. Look for even more coverage in next month’s issue.